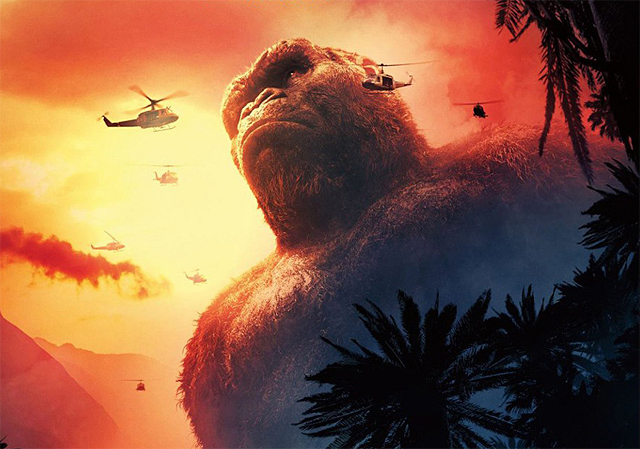 Two new international Kong: Skull Island posters from the Legendary Pictures and Warner Bros. Pictures release have made their way online, and you can check them both out in the gallery below! The new Jordan Vogt-Roberts film hits regular and IMAX theaters March 10. Kong: Skull Island stars Tom Hiddleston, Brie Larson, Samuel L. Jackson, John Goodman, Jing Tian, Toby Kebbell, John Ortiz, Corey Hawkins, Jason Mitchell, Shea Whigham, Thomas Mann, Terry Notary and John C. Reilly. What do you think of the Kong: Skull Island posters? Are you planning to check out the film when it hits theaters next month? Let us know your thoughts in the comments below!